In a far away future, mankind lives underground in huge caves, unknowing of a world above with a sky and stars. In the small village of Jiha, Simon, a shy boy who works as a digger discovers a strange glowing object during excavation. 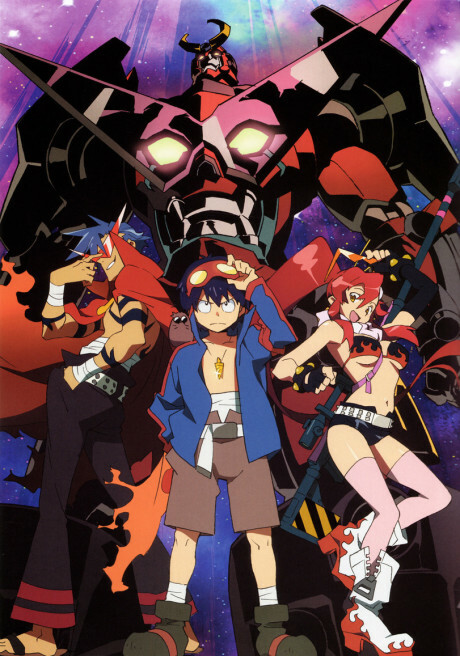 The enterprising Kamina, a young man with a pair of rakish sunglasses and the passion of a firey sun, befriends Simon and forms a small band of brothers, the Gurren Brigade, to escape the village and break through the ceiling of the cave to reach the surface, which few believe exist.